Ugly Christmas sweater throw blankets are another funny take on the ugly Christmas sweater trend that started years ago. What I like about this hilarious theme is that while some of the sweaters, leggings and other items can be a bit “ugly,” many aren’t. In fact, I’ve seen some adorable items in this ugly Christmas sweater theme. 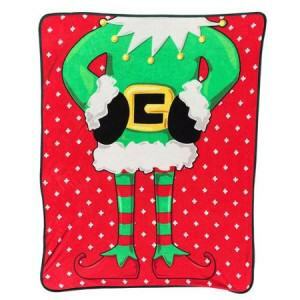 Add a little funny bone to your Christmas decorating with some of these funny, cute and sometimes irreverant ugly Christmas sweater throw blankets. I see some that would make the coolest Christmas gift ideas for college guys and girls and some that would look stunning in an adult’s Christmas themed bedroom. Whatever level of ugly Christmas sweater that you enjoy most, I bet I’ve found one that you will like. That’s part of the fun is finding all these ugly Christmas throw blankets for you. I did all the searching and you can have a ton of fun shopping through them. Enjoy! Speaking of the coolest ugly Christmas sweater throw blankets with some edgy, mischievous humor. 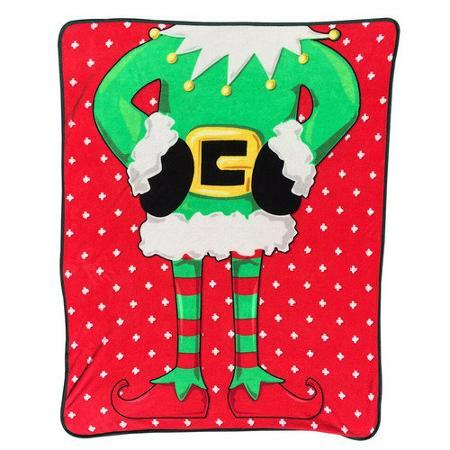 These ugly Christmas blankets below are from Zazzle and they are terrific gift ideas for men. Football, zombies, rock music and cars ~ what more could he ask for? 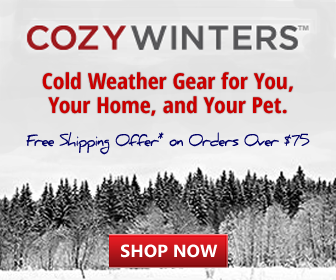 Zazzle has literally thousands of ugly Christmas sweater throw blankets to choose from, some of which can be personalized with a recipient’s name. The fleece blankets are available in 3 different sizes, made of buttery soft, 100% soft and cozy polyester fleece and are machine washable in a gentle cycle with mild detergent; Tumble dry. It’s one thing to be surprised every time I turn around to see another household item in the “ugly Christmas sweater” theme, but I didn’t expect duvet covers. These ugly Christmas sweater duvet covers from CafePress look pretty sharp, don’t they? You can personalize your bedroom and protect your comforter with your very own unique ugly Christmas sweater duvet cover. The duvet covers measure 88″ x 88.” You can choose between two different finishes: Lightweight & Luxe. The lightweight is 100% Polyester and has a button snap closure. The Luxe has a 100% Polyester front; the backing is cream-colored and is 50% Polyester & 50% Cotton. Luxe features a hidden zip closure and interior corner ties. Both finishes have the design printed on the front side only. Then I found some really lovely ugly Christmas sweater blankets in different places. By now, I’m laughing. These are beautiful! What are they doing calling them ugly? Okay, I know it’s the ugly Christmas sweater theme, but you have to agree – aren’t these fun? Keep an eye open for ugly Christmas blankets on eBay too. You never know what will pop up for sale over there! Here’s some examples of ugly Christmas sweater throw blankets that I found with a quick and easy search on eBay.